These days, “Desktop Notification” comes as an imperative feature in most of the web apps that could show application related notifications on your desktop. What it means is that you no more need to navigate to the necessary app and detect any new, unread notifications. your browser, on your desktop. It greatly helps when something urgent appears and you need to break apart from your browser for sometime. Now, you will not oversight any important chat notifications when your browser window miniaturizes. web browser for Conversion Support online chat for optimal performance. 1. Click “Settings” in the Menu. 2. Under “Settings”, click on “Show Advanced Settings”. 3. Under “Privacy”, Click on “Content Settings”. 4. Under “Notifications”, fill the check box that reads: “Ask me when a site wants to show desktop notifications (recommended)” and click “Done”. 5. Login to your Conversion Support account. Click “Enable desktop notifications” and click “Allow”. 6. From now, you will get notifications of a new chat visitor or chat message on your desktop. 2. Click on “Show Advanced Settings”. 3. Under Privacy, click on “Content Settings”. 4. Under “Notifications”, click on “Manage Exception” and remove “http://webchat.conversionsupport.com:80” and click “Done”. Enabling Desktop Notification in Conversion Support online chat recovers an inordinate amount of your time and diminishes the possibility of missing important messages from your website visitors. Now, work on other assignments without overlooking chat notifications, with ease. 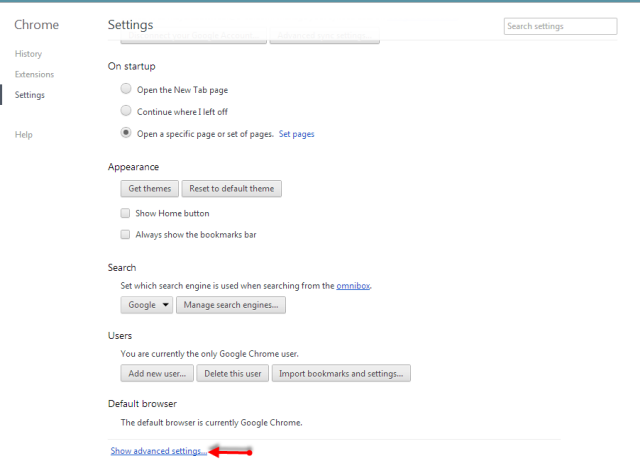 You may want to read: Desktop Notifications in Google Chrome. If you have any questions or suggestions, please drop us a message at support@conversionsupport.com and we shall get back to your at the earliest. This entry was posted in Uncategorized on September 3, 2013 by Mayank.